When choosing Google cloud services, most users are concerned about Google cloud pricing. Let’s have a look at the following notes about Google cloud pricing before making the final decision. Meta: In the booming era of the Internet, Google cloud plays a crucial role in helping users increase their reputation and catch up with the world’s developing pace. So what are the Google cloud functions? Let’s learn about it right now. What Is Google Cloud Connect and How It Work? Meta: Google Cloud Connect has changed so much how people work and share their work with each other. Check out to learn more about this incredible invention. Nowadays, businesses and individuals have many different ways of co-working or sharing their work with each other. Google Cloud Connect is one of them. It’s proved to help businesses obtain a low-cost network computing platform while enhancing the capability of moving large volumes of data for more convenient and faster storage and management. Let’s check out this post to learn more about Google Cloud Connect! What Is Google Cloud Connect? 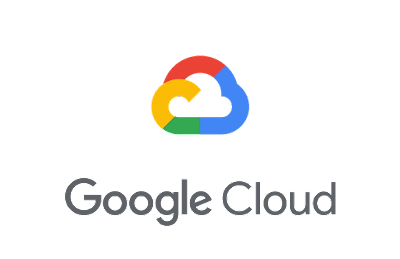 Google Cloud Connect is a free online collaboration community where G Suite and Cloud Identity Premium Edition administrators are officially allowed to work with each other. In particular, they can update their Google service in a real-time environment, check what other G Suite and Cloud Identity clients are working, share experiences, etc. Google Cloud Connect is also a one-stop hub for the latest news and resources, such as product updates, use cases, launch announcements, and so on. How Does Google Cloud Connect Work? When a document is uploaded to Google Cloud Connect, it’ll be inserted with some metadata which is a big package of information that contains many smaller pieces of other information. That metadata is used to identify the file, helping changes track across all copies. The back end of Google Cloud Connect shares many similar features with the Google File System and works based on the Google Docs infrastructure. 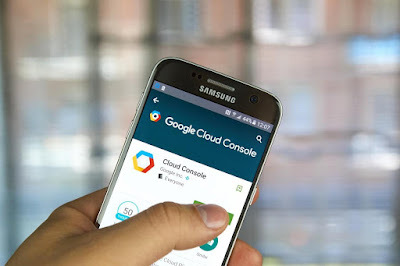 When the document is synchronized to the master file, it will receive all of its downloaded copies from the Google Cloud Connect. In this case, the metadata is responsible for guiding updates to the right files. Not only Google, but Microsoft also has their own online collaboration tool named SharePoint, but it is not free. Therefore, if you’re interested in SharePoint, you have to purchase a license to use it. However, everything has its cost! Because SharePoint is a Microsoft product for the famous Microsoft Office suite, it has a tight integration of features that Google is unable to match. What’re Benefits of Google Cloud Connect? One of the hardships that all of us have to come over when working with electronic documents is finding a fast, convenient way to collaborate with our partners. However, using the old-fashioned approach of launching a software on your computer, creating a new file or opening an available file, saving it and then sending it to someone else has many inconveniences. For example, it generates two copies of the document. When you make changes to your copy, other people cannot update these changes. So, you have to combine them manually, which takes a lot of time and effort, not to mention that people cannot work with each other at the same time if using this method. Google Cloud Connect makes this problem become nothing. In particular, it’s designed to leverage the Cloud and the Application Programming Interface (API) for Microsoft Office. After installing a plug-in for the Microsoft Office suite, you can directly upload your file to the Cloud. This way, the Cloud copy of your file becomes the master document that everyone can access, view, use, and even edit (if you allow, of course). To do that, the Google Cloud Connect assigns each single file a unique URL. If you have this URL, you’re still not able to view the document. Only when you’re allowed by the file’s author (or creator), you can view the document. And if you have the authority to edit the file (from the author, of course), you can edit it or even share it with others. When someone makes a certain change to the document, this change will automatically show up for you and others. You can recover the original content of the document (or the content at any time) because Google Cloud Connect gives you a history of changes. Simply click a button and you can see the whole history. How to Sign Up with Google Cloud Connect? If you want to sign up Google Cloud Connect, the prerequisite for you is already having a Google account (or you can call a Gmail address). If you use G Suite or Cloud Identity, you should sign up using that account. For more important details, please check out Sign into Google Cloud Connect. Google Cloud Connect has changed so much how people work and share their work with each other. And obviously, we can see how reliable, convenient and secured it brings to us. Without a doubt, the Cloud in general and the Google Cloud Connect in particular will continue developing and getting more famous in the next several years. Google Cloud is not a new concept for people in the field of hosting and users of the hosting service. If there is any chance you work in the field or need to use Google Cloud products and services, this article will be of your assistance. Google Cloud, owned by Google, is a foundation for building and hosting websites, application, storing data, machine learning and optimizing data. Google Cloud has a comprehensive cloud computing environment where activities and data can be implemented and managed effectively and in the simplest manners. Meta: Google Cloud hosting supplies dependable infrastructure for users to build, test and implement new apps. Its pros and cons will be shown in this post! What Do You Know About Google Cloud Services? Meta: Google has invested billions of dollars in building huge data centers to deliver their Cloud services. But what do you know about Google Cloud services, let’s find out! 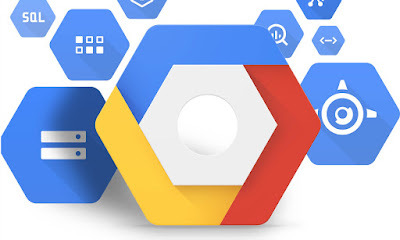 Since the humble release of Google App Engine in 2008, Google has developed their Google Cloud platform into one of the most famous and popular Cloud computing platforms in the market these days. To help you have a better understanding of Google Cloud services, we've put together some basic information about Google Cloud services in this comprehensive post. Let’s get started!